One September evening in 1785, the merchant Jonah Hancock finds one of his captains waiting eagerly on his doorstep. He has sold Jonah’s ship for what appears to be a mermaid. As gossip spreads through the docks, coffee shops, parlours and brothels, everyone wants to see Mr Hancock’s marvel. Its arrival spins him out of his ordinary existence and through the doors of high society, where he meets Angelica Neal, the most desirable woman he has ever laid eyes on... and a courtesan of great accomplishment. This meeting will steer both their lives onto a dangerous new course. What will be the cost of their ambitions? And will they be able to escape the legendary destructive power a mermaid is said to possess? Jonah Hancock’s counting-house is built wedge-shaped and coffered like a ship’s cabin, whitewashed walls and black skirting, beam pegged snugly to beam. The wind sings down Union Street, raindrops burst against the windowpane, and Mr Hancock leans forward on his elbows, cradling his brow in his hands. Rasping his fingers over his scalp, he discovers a crest of coarse hair the barber has missed, and idles over it with mild curiosity but no irritation. In private, Mr Hancock is not much concerned with his appearance; in society, he wears a wig. He is a portly gentleman of forty-five, dressed in worsted and fustian and linen, honest familiar textures to match his threadbare scalp, the silverish fuzz of his jowls, the scuffed and stained skin of his fingertips. He is not a handsome man, nor ever was one (and as he perches on his stool his great belly and skinny legs give him the look of a rat up a post), but his meaty face is amiable, and his small eyes with their pale lashes are clear and trusting. He is a man well designed for his station in the world: a merchant son of a merchant’s son – a son of Deptford – whose place is not to express surprise or delight at the rare things that pass through his rough hands, but only to assess their worth, scratch down their names and numbers, and send them on to the bright and exuberant city across the river. The ships he sends out into the world – the Eagle, the Calliope, the Lorenzo – cross and re-cross the globe, but Jonah Hancock himself, the stillest of men, falls asleep each night in the room in which he first drew breath. 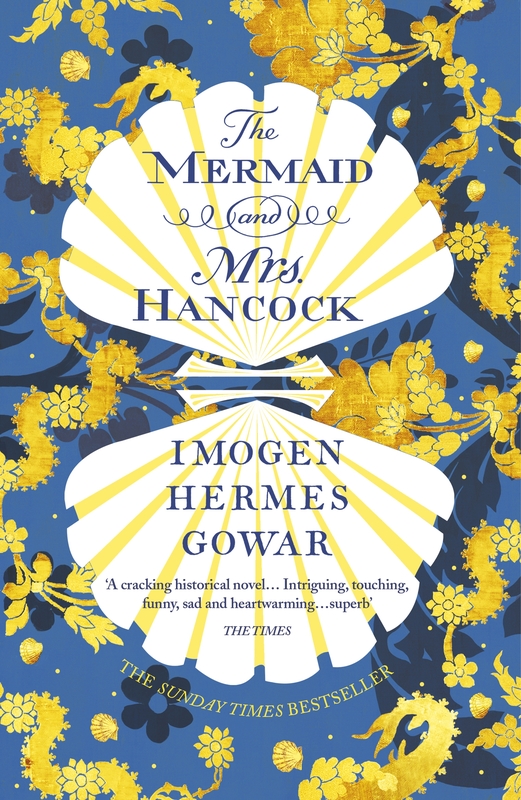 Love The Mermaid and Mrs Hancock? Subscribe to Read More to find out about similar books.